Hi guys! I have some pretty new items in my Etsy store! Made from shrink plastic, measuring 2 1/2 inches so they’re quite long but STUNNING. 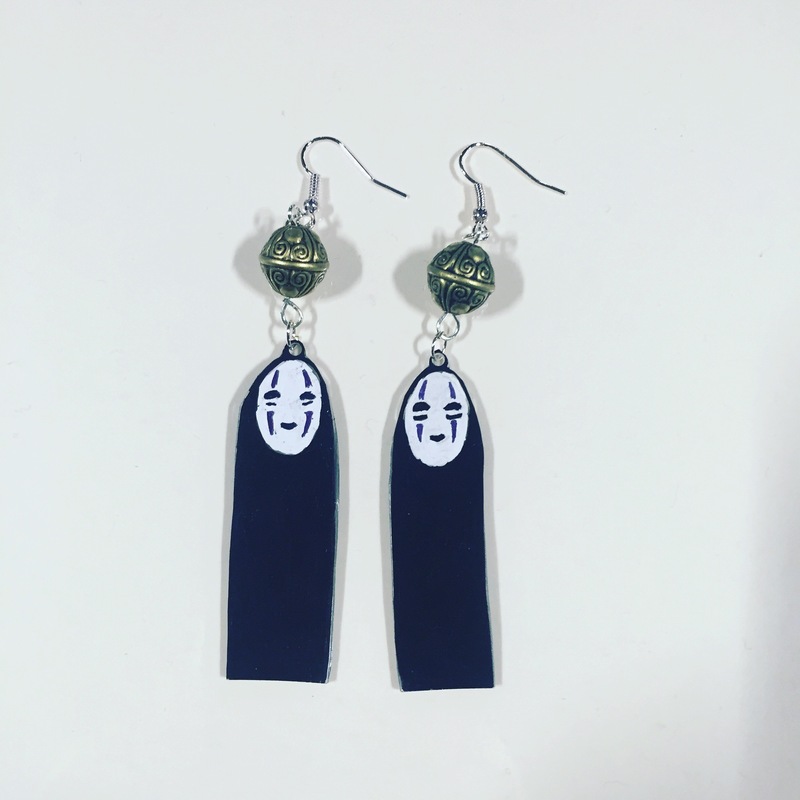 No-face is my favourite Ghibli character by far so I couldn’t resist making them. Made with recycled buttons, the buttons are so shiny and pearly. They look quite alternative while at the same time staying classic looking. 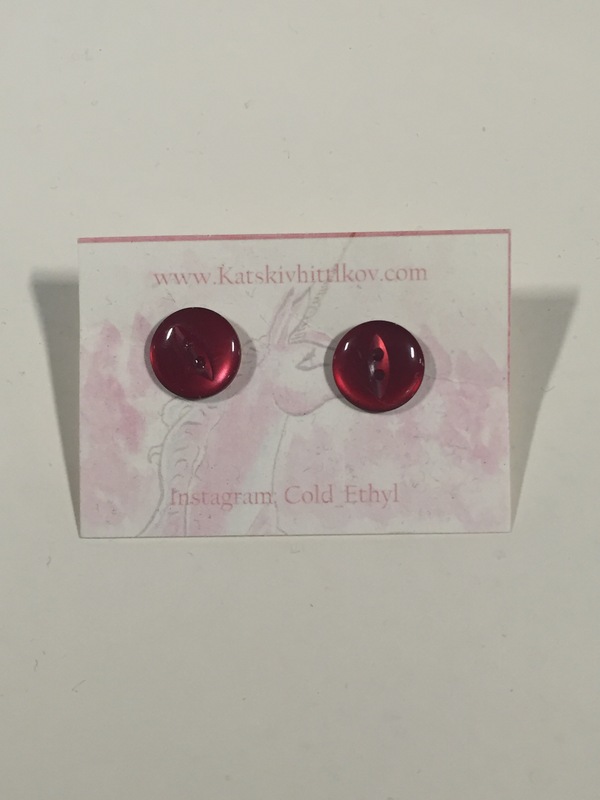 These vintage buttons look absolutely lovely as little stud earrings. They have a 60s / early 70s feel to me and would definitely look great with a summer wardrobe! 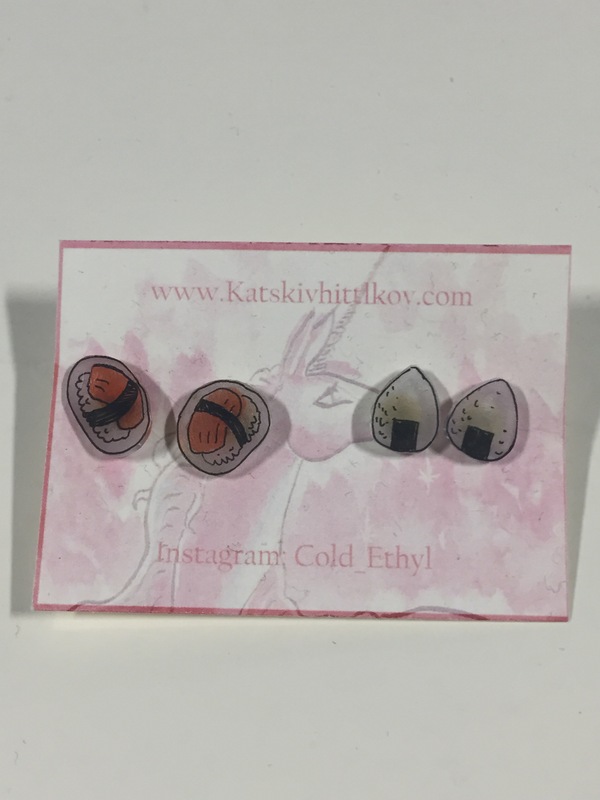 Handmade shrink plastic Sushi earrings. I originally made these because I think sushi looks beautiful and I wanted a set for myself. It turned out that these were my most popular sellers at the comic con I attended this weekend so I made them available to buy online! Originally drawn with my dip pen and ink, then scanned in and digitally coloured. This print is on a4 300gsm hammered card to a very high standard. 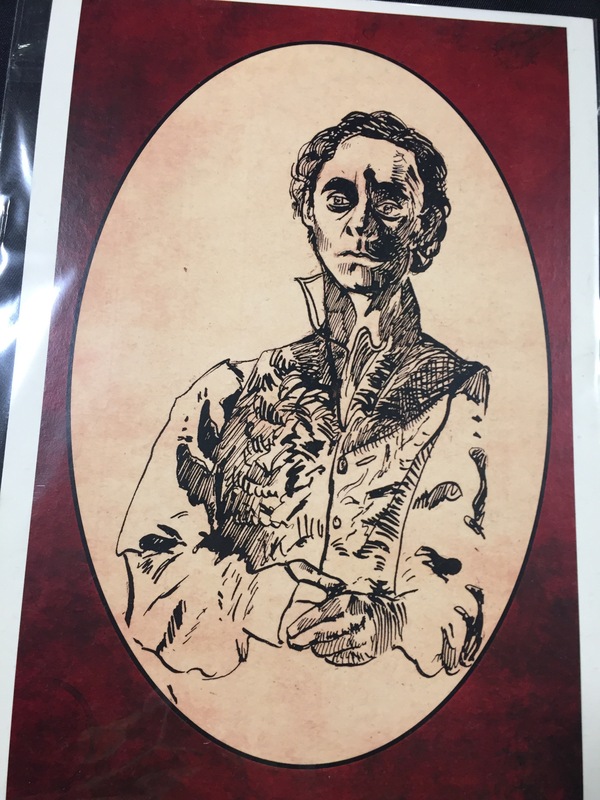 Any excuse to draw Tom Hiddleston of course! David Bowie as Jared the goblin king.